Do you want to keep up with the latest ideas in contemporary furniture design? Here's the perfect way to explore 100 inspiring pieces that will spark your imagination and help you discover your next furniture-making project. 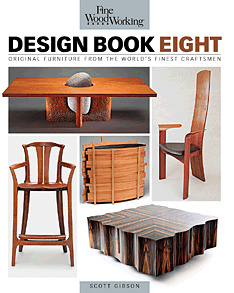 Fine Woodworking Design Book Eight is the latest volume in our popular series highlighting the most innovative pieces in contemporary furniture design -- all selected by a juried panel of woodworking experts.